The following information was compiled and submitted for inclusion by Philip A. Newbould – thank you. Arthur Newbould was born on 21st June 1895 in Burnsall, Yorkshire. He was the eldest child of John Newbould and Alice (nee Walton). • 6th August 1896: Baptised in St Wilfrid’s church, Burnsall. • 1901 Census; Family living at Lone House Hebden, Yorkshire. • 1911 Census; Living at Little Gate Farm, Drebley, Yorkshire and working as farm servant for Ellen De Maine, widow and farmer. On 15th December 1915, although working in a Reserved Occupation as a farm servant at None-go-Bye Farm near Skipton, Yorkshire, Arthur enlisted in the army at Keighley, Yorkshire. He initially joined the Army Service Corps as Driver with 3 Company No 4 Reserve Horse Transport Depot in Bradford, Yorkshire with the number T4/124175. On 8th January 1916 he was posted to ACS 308 Company, 45 Reserve Park Company. In 1917 he moved to 662 Company based at Horse Transport Depot, Park Royal, London. On 29th January 1917 Arthur transferred to 49th Training Reserve Battalion located at Prees Heath, Shropshire with the number TR3/1451. On 4th August 1917 he disembarked Alexandria, Egypt having sailed there on the troopship Saxon. 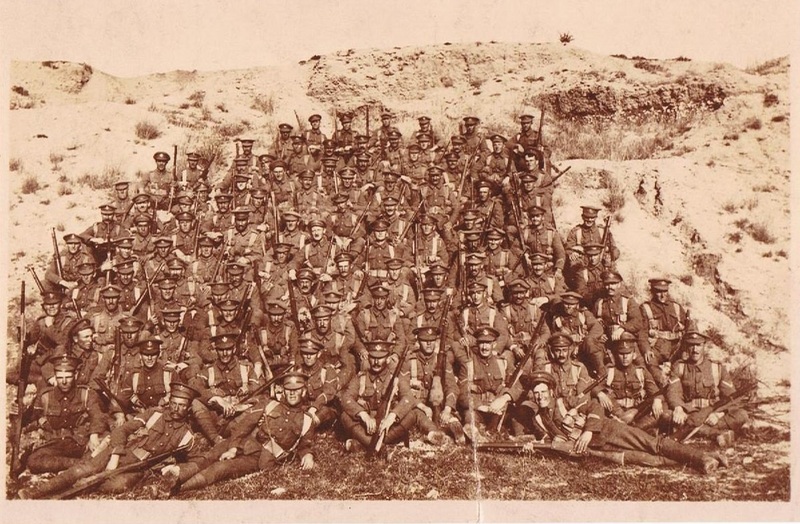 Two weeks later, 18th August 1917 Arthur joined 2nd Battalion Loyal North Lancashire Regiment with the number 39021. On 14th November 1917 he was appointed Lance Corporal (unpaid). On 18th May 1918 LCpl Arthr Newbould embarked at Port Said, Egypt on the troopship Huntsgreen. They disembarked at Marseilles, France six days later. The following month, on 22nd June 1918 he was admitted to a field hospital suffering from influenza. He returned to duty two days later. The 2nd Bn LNL were part of the 101st Brigade of the 34th Division. The Division took part in the second Battle of the Marne at the beginning of the final Allied push of the war which began across a wide front on the 24th July 1918. On this day the Division attacked the German rearguard on a line of high ground at Grand Rozoy-Beugny near Soissons. On 29th July 1918 LCpl Arthur Newbould was wounded in action having sustained a gunshot to his abdomen. He was evacuated to No 63 Casualty Clearing Station situated in the College of St Vincent in Senlis near Paris but the next day, 30th July 1918, died of his wounds. Arthur was buried in the Senlis French National Cemetery, France. Regiment/Service:The Loyal North Lancashire Regiment, 2nd Bn. Thank you for this Arthur was my Great Uncle and was loved very much by my mother who is still alive. Arthur was also my Great Uncle, he was the elder brother of my Grandfather Jack Newbould. I have only just found this from my Uncle Philip. Another relative is Margaret Ann Newbould who served as a nurse, she was mentioned in despatches 3 time and twice awarded the Royal Red Cross which is the highest award for military nursing and is classed as the medical Victoria Cross.